ADCAS is hosting Western Psychology Professor Josh Kaplan Thursday, April 18, for the second of two 4/20 Week cannabis lectures. Please join us in AW 210 at 4 p.m. to learn the science behind how your method of cannabis consumption impacts your high and what you can do to minimize your risks if you choose to use. ADCAS is Western's Alcohol and Drug Consultation and Assessment Service. For more information about ADCAS, visit wwu.edu/adcas. 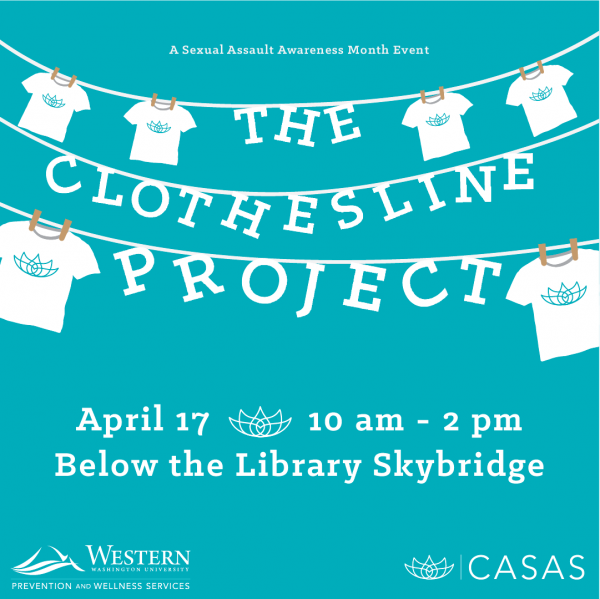 CASAS, Western's survivor advocacy services, is hosting the Clothesline Project TODAY, April 17, below the Library Skybridge, from 10 a.m. to 2 p.m. Please stop by to bear witness to the personal testimonies of survivors and participate in this safe space to share stories and experiences..
Western Washington University has released its Winter Quarter 2019 Honor Roll and Graduation List. The lists are sortable by state, city, zip code and more. WWU faculty and staff will once again be recognized for their years of service at the 42nd Annual Employee Recognition Ceremony from 8:15-9:30 a.m. on Wednesday, May 15 in the Performing Arts Center. The 2019 President's Exceptional Effort Awards will also be announced at the event. 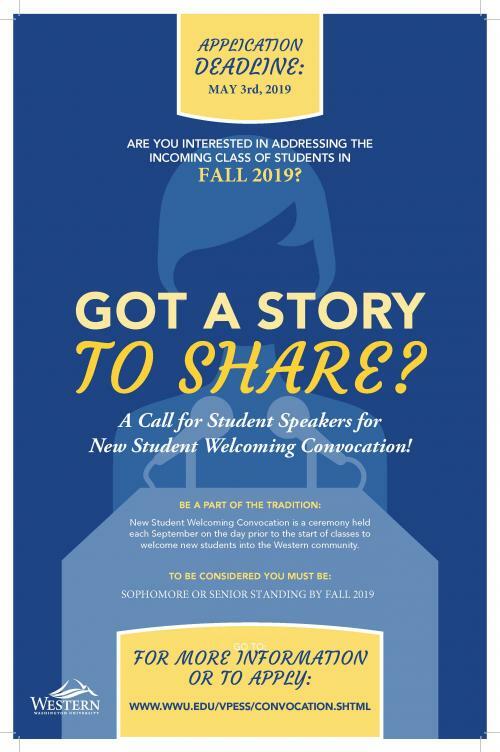 For questions, please contact Nancy Phillips at Nancy.Phillips@wwu.edu or at (360) 650-3407. The following policies have been approved and are effective April 2, 2019. ADCAS hosting cannabis-awareness lecture today at 4 p.m.
ADCAS is hosting Western Psychology Professor Josh Kaplan today, April 16, for the first of two 4/20 week cannabis lectures. Please join us in AW 210 at 4 p.m. to learn how cannabis has evolved to get you higher and what you can do to minimize your risks if you choose to use. ADCAS is Western's Alcohol and Drug Consultation and Assessment Service. For more information about ADCAS visit wwu.edu/adcas. Please join CASAS today at noon in Old Main 235 for a special Sexual Assault Awareness Month workshop. Learn about the impact of trauma on survivors and our community and how you can support survivors of violence. We all have a role to play in creating a campus culture that believes and supports survivors of violence. Open to students, faculty, and staff. Snacks provided. For more information about SAAM events, visit pws.wwu.edu/saam.